Mmmmm, homemade potatoe chips. No, I couldn't have just one either. 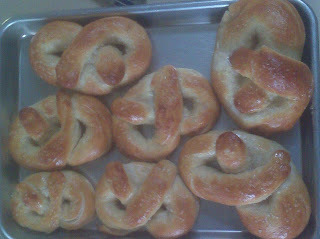 These were so good and so easy to make with my Swissmar Borner V-Slicer Pro Mandoline V-4000, 7-Piece Set . SUPER thin just like those you buy, too. I fried these up in a cast iron skillet with about 1/2 to 3/4" deep oil in it. I've also made them in the microwave which, of course, are less fattening. But, hey, sometimes ya gotta let it go, ya know? Spray the entire surface of a microwave-safe plate with your favorite cooking spray. Lay a single layer of the paper-thin potato slices on the plate. Microwave on high 3-4 minutes watching carefully for them to begin browning. Once they begin browning remove from the microwave, sprinkle your favorite seasoning on them, and allow to cool. I haven't tried oven baking them yet, but all that would entail would be spraying and laying them out on a baking sheet and baking in a 350° oven. Now I just wish I had a V-Wave Waffle Slicer for making ripple potato chips to go with French Onion Dip from Scratch.